This post is about a great example of a bad user experience due to a bad user interface. “You will need to contact a member service coordinator...”?!? What is a member service coordinator? What about a direct link to one? Or at least tell me where to go on your site to figure out how to get to one? It’s obvious that I needed help or I wouldn’t have been shown this message. Yet nothing was done to help me solve my problem. 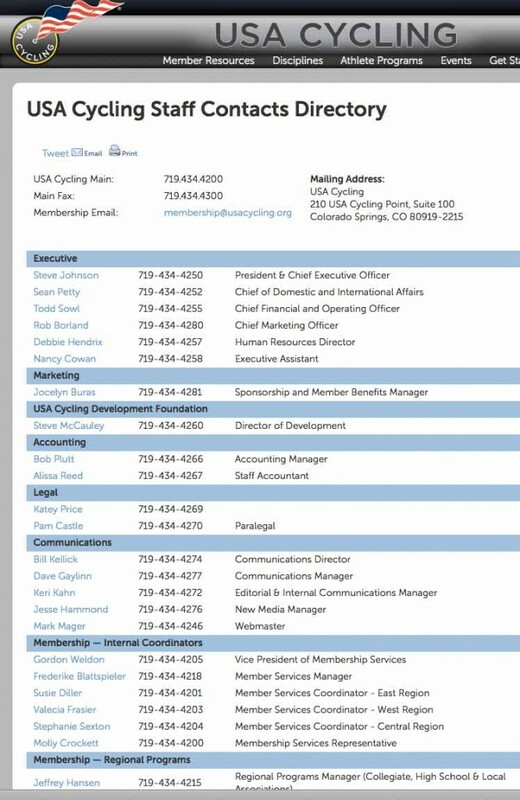 I guessed that my Member Service Coordinator (now capitalized, it wasn’t before) would be for the West Region, as I live in Colorado. It was the Member Service Representative that ultimately assisted me along this cumbersome and annoying journey to renewing my racing license. What did they do wrong? They made the user hunt and chase. And that makes for a bad user experience. I think I need to go unwind on a bike ride now.